Hi everyone, it’s been a few days since I’ve shared any of my projects. It’s actually been a few days since I have crafted as my partner was home from work (he’s a FIFO worker). 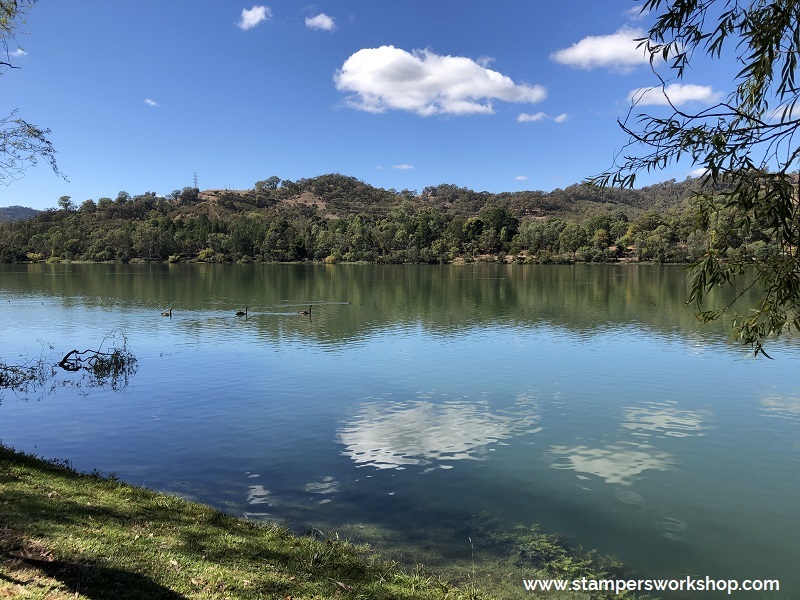 We then spent a long weekend away in Eildon (country Victoria, Australia). I had thought about taking crafting supplies with me but decided not to at the last minute. It was an amazing weekend. Such a picturesque spot. Isn’t that gorgeous? It was definitely hard to come home and return to the real world on Monday. On the plus side, my craft supplies were at home waiting for me. I felt a little rusty. When this happens I tend towards things I am comfortable with – so colouring was on the agenda. 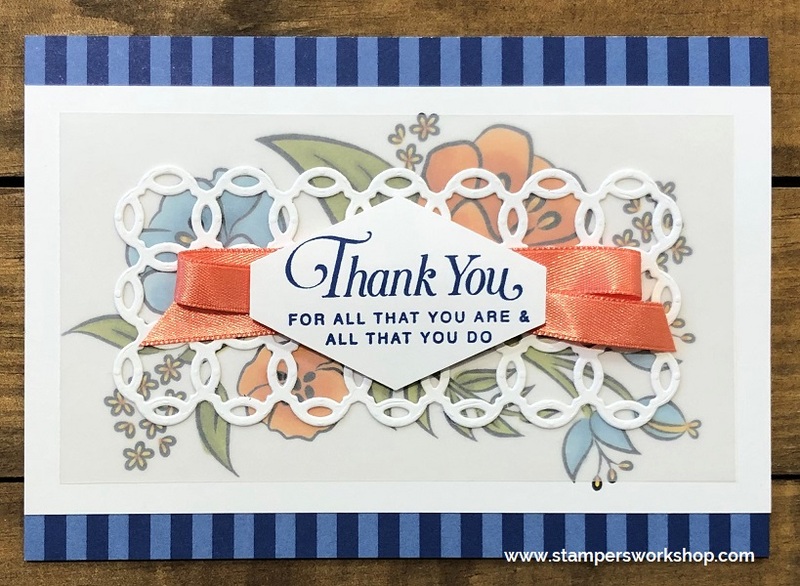 I also decided to go with an old favourite design but I used a new stamp set – All That You Are. Aside from the obvious beauty of the floral images, the sentiments are also lovely. 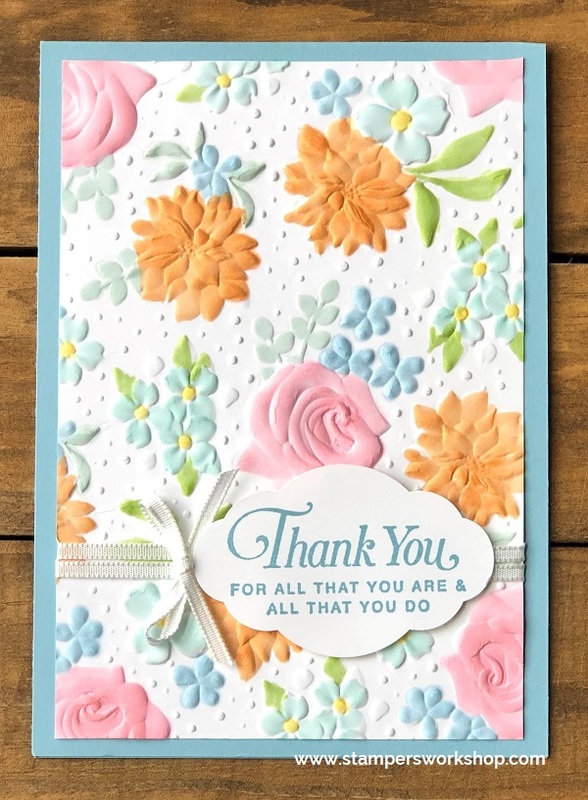 To create the card, I stamped the floral image all over a piece of Whisper White cardstock. I then coloured in the panel using Stampin’ Blends and decided to go for a bright colour palette. I added Wink of Stella to the blooms to give it that sparkle. It also lifts the entire project. 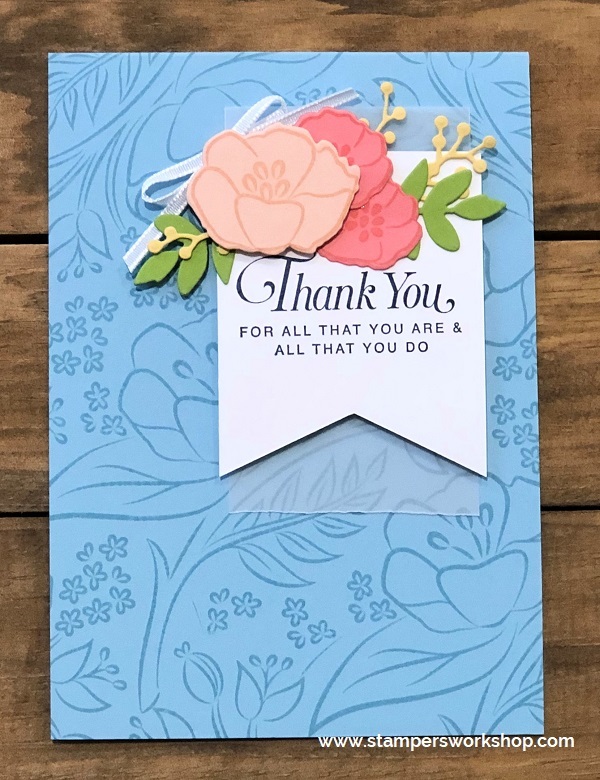 The sentiment was stamped on Whisper White cardstock and then punched out using the Pretty Label Punch. I did add a few stamped leaves to make it blend into the overall design. Isn’t it a bright and happy card?! I am going to try it again with a different colour palette too. I also think it would be really pretty if you added some ribbon, or vellum leaves under the sentiment to step up the design a little. Hi everyone, if you’ve been reading my blog for any length of time you know I am a big fan of really trying to get the most out of your crafting products. I like making multiple cards and sometimes all I change up is the colour palette. Today’s card is an example of this. I’ve created another card using the Country Floral Dynamic Textured Impressions Embossing Folder. It is SO pretty! It is so very simple to create this card. 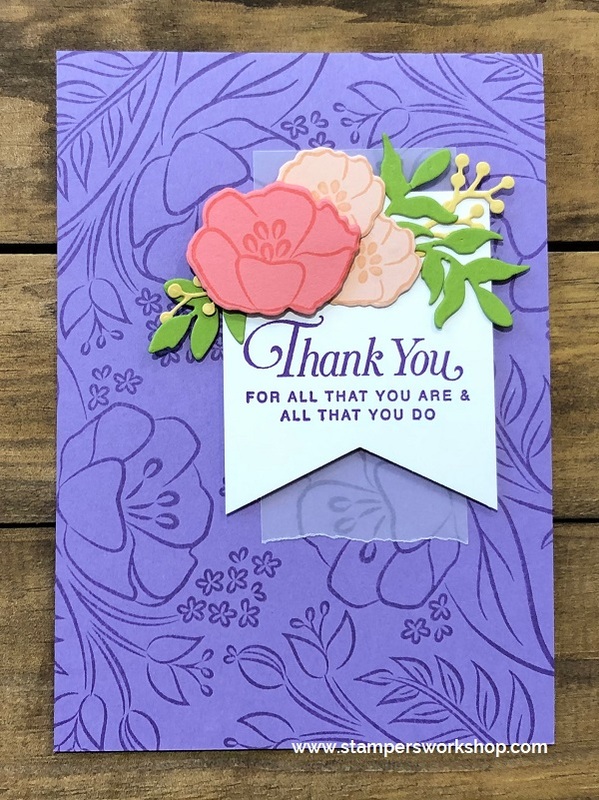 All you need to do is take a piece of Whisper White cardstock and place it in the embossing folder. Run this through your Big Shot. 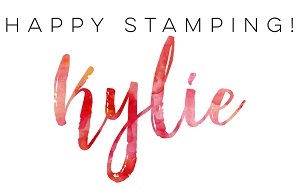 Next, take your Stampin’ Blends and colour directly onto the embossed images. Take some ribbon and add to the card. Adhere the embossed panel to your card base. Stamp the sentiment onto Whisper White cardstock and then punch out. 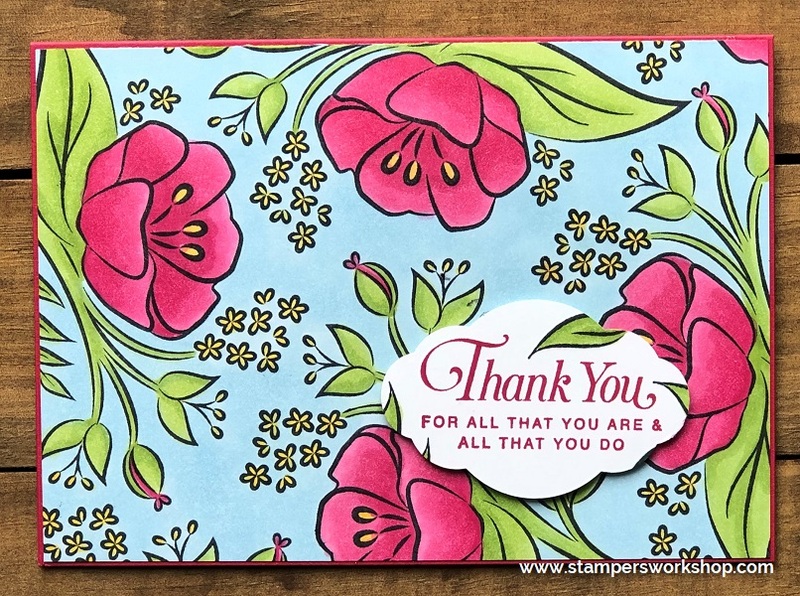 Adhere the sentiment with Stampin’ Dimensionals. Voila your card is done! It really is that easy! Oh, this card would be so easy to make a lot of as it doesn’t take a lot of time or effort. I hope you’ll give it a go! 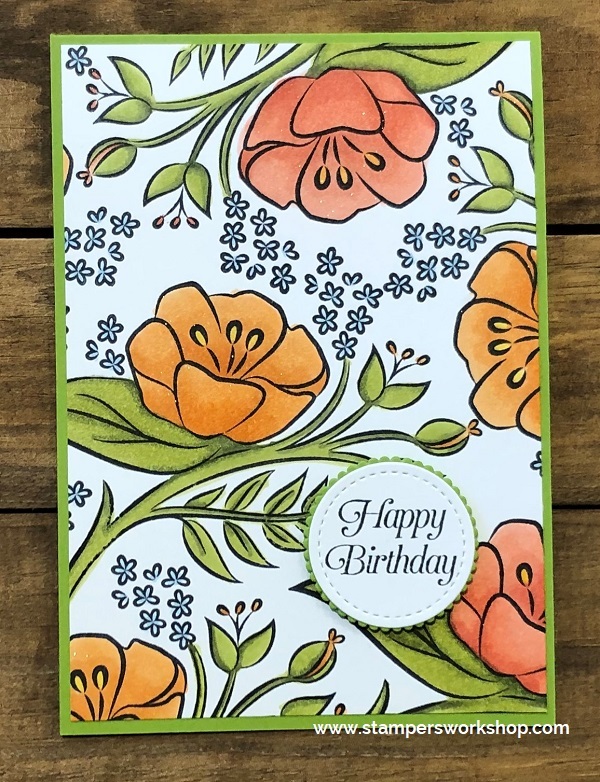 The Country Floral Dynamic Textured Impressions Embossing Folder is an item you could choose as your FREE item when you place a qualifying order at my online store during Sale-A-Bration. Don’t forget, Sale-A-Bration ends on March 31 2019.